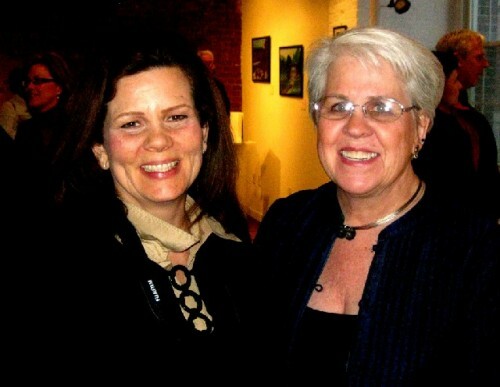 Art teacher, Phoebe Pepper, left with gallery chair, Gail Sellers. Giuliano photos. Teacher Jane Ellen DeSomma is an inspiration to her students. 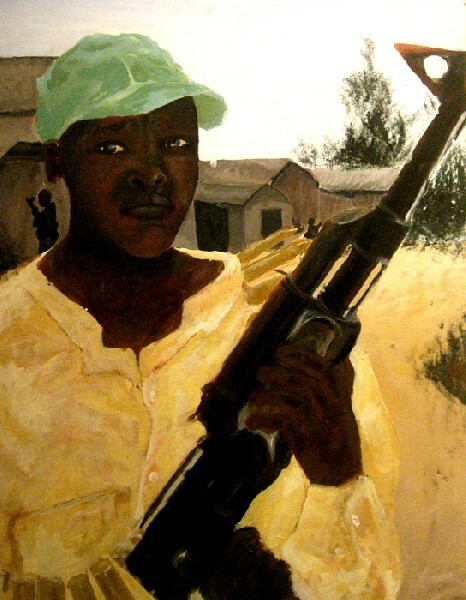 A painting by Hallie Walker. 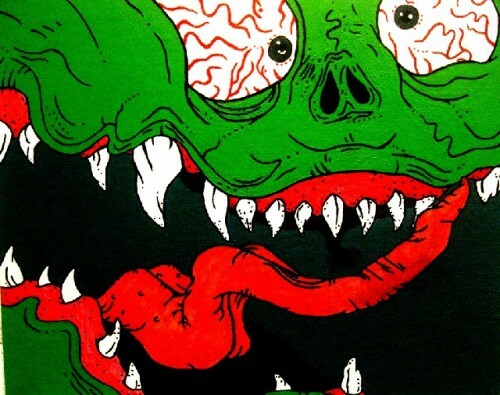 A scary monster by Emily Renzi. 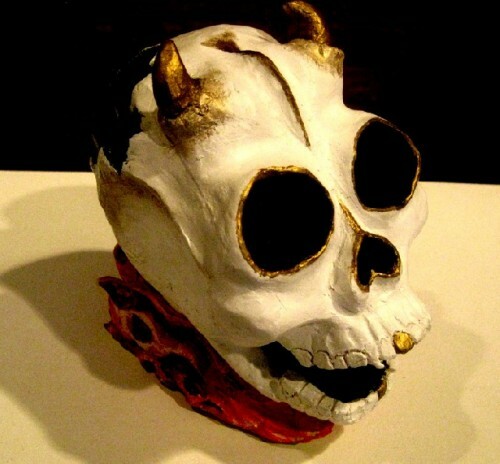 A ceramic scull by Kirby Lampiasi. 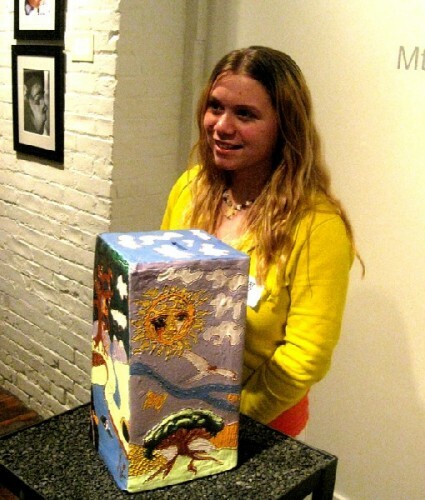 Morgan Cranmer and her ceramic sculpture. 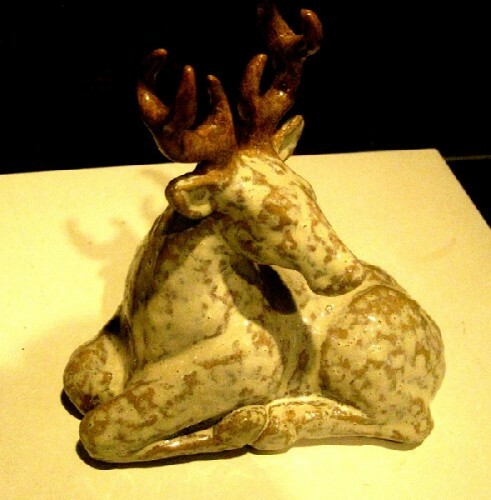 A ceramic deer by Brianna Groves. A book by DJ Ross. 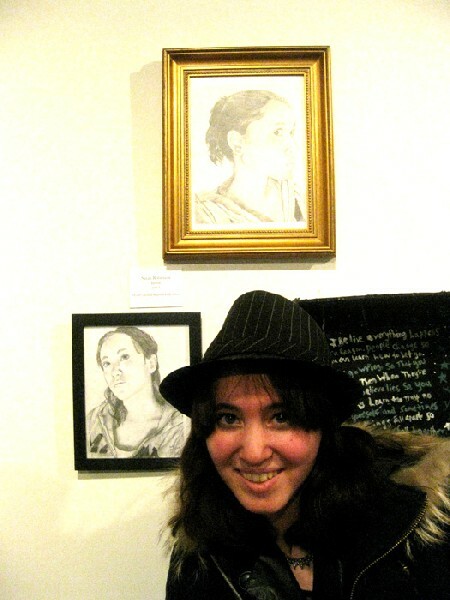 Sarah Robinson and her work. A drawing by Sarah Robinson displays a deft touch. 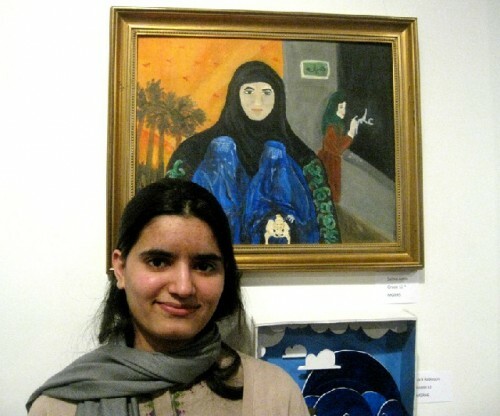 Salma Amin with her painting. 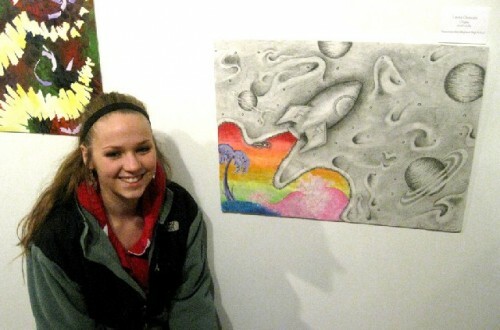 Laura Duncan and her space piece. For the second year, Phil Sellers, the chair of North Adams Open Studios, has worked with Jane Ellen DeSomma, of Greylock High School, and Phoebe Pepper, of Drury High School, to organize an exhibition of student art. Young at Art opened last night during an upbeat and well attended event at the Eclipse Mill Gallery, 243 Union Street, in North Adams. The exhibition is open on weekends, from noon to 5 pm, through April 11. Gail Sellers, the chair of the Eclipse Gallery committee, warmly greeted the two teachers, student artists, their parents and classmates. Two North Adams city councilors, Lisa Blackmer and Mike Boland, who have been particularly supportive of the arts community, attended the event. Boland, who has a master's degree in special education, was particularly interested in talking with DeSomma about her work with students with special needs. The exhibition that preceded the current one featured Jane Ellen's work with A.J. Schlessinger. She serves as his tracker to execute abstract expressionist paintings following his commands. The Sellers operate River Hill Pottery a studio and retail outlet in the Eclipse Mill. They have been active in a wide range of arts related activity in North Adams. "Since we moved here from Ohio" Phil said addressing the opening night audience 'It has been my dream to use art as a means of bringing a community together. 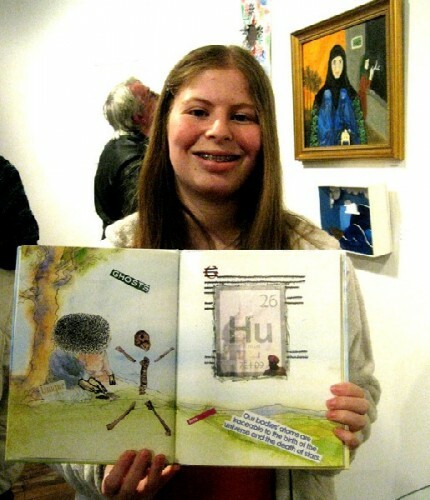 These young people are the future generation of artists. It is a great pleasure and opportunity to showcase their work in this professional setting." The Eclipse Gallery occupies the common space of mill owners. Exhibitions are just a part of its overall use and function. It is a space to show the work of Eclipse artists. In projects such as the annual student shows, or the recent one person show of work by A.J. Schlesinger, the program is reaching out to function as a matrix for the surrounding creative community. Each year the season officially is launched on Memorial Day Weekend with the Berkshire Salon. This eclectic and lively project is open to any artist willing to submit work and pay a modest donation of $15. This show includes an average of 60 participants. Often, artists unearthed in this exhibition are invited back to participate in thematic group shows through the season. These exhibitions generally expand on work created by Eclipse artists. By inviting other artists to participate it creates a broader context for the work. There are a number of special exhibitions planned for the 2010 season. There will be a project focused on aspects of abstraction. At the end of the season artists as illustrators will be explored in a project involving a number of regional and national artists. Eclipse resident Norm Thomas will be featured with a retrospective surveying decades of his work. Thomas combines cubist space with often witty and amusing subject matter. The season for the gallery runs through the Holidays. The final project is to set up the gallery as a store for small works, crafts, and gift items. It generates lively sales with its range and variety of unique but affordable items. It was fun to interact with the student artists and their parents. There were interesting responses when I asked to photograph artists with their work. Some were excited to pose for the camera. Another girl flatly refused. Her mother urged her but she was just too shy. 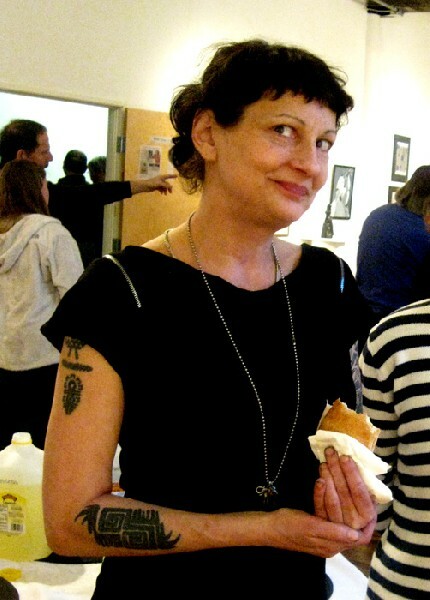 She led me over to see her work and proudly pointed out paintings and objects created by her friends. Of particular interest was meeting the four siblings of the Amin family. Their parents remain in Afghanistan but the son, who posed with his three sisters, told me that he has been living here for four years. Currently he is a sophomore at Williams. The three girls are enrolled in local schools. The range and quality of work in the exhibition is impressive. 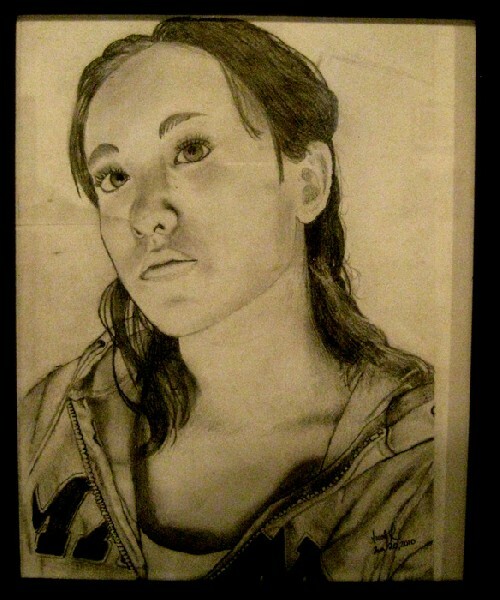 The students display a great range of skill in painting and drawing. The ceramic works were technically well handled. The level of work is of course reflective of the dedication and instruction of their teachers Jane Ellen and Phoebe. As the word gets out hopefully next year more school will participate. They were contacted but so far Jane Ellen and Phoebe have been the first respondents. Always projects grow and develop over time. For now this is an enticing preview of the Eclipse Mill Gallery season. Let the games begin.